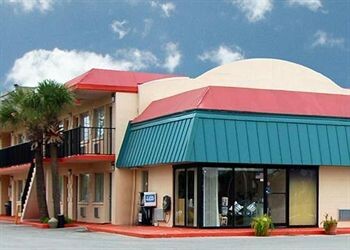 Property Location With a stay at Econo Lodge North in North Fort Myers, you&apos;ll be close to Art of the Olympians Museum and Edison and Ford Winter Estates. This hotel is within close proximity of Centennial Park and Harborside Event Center.Rooms Make yourself at home in one of the 48 air-conditioned rooms featuring refrigerators and microwaves.Dining A complimentary continental breakfast is included.Business, Other Amenities Featured amenities include a 24-hour front desk and coffee/tea in the lobby. Free self parking is available onsite.